Poster art by Jason Franks. Just in time to celebrate my birthday! 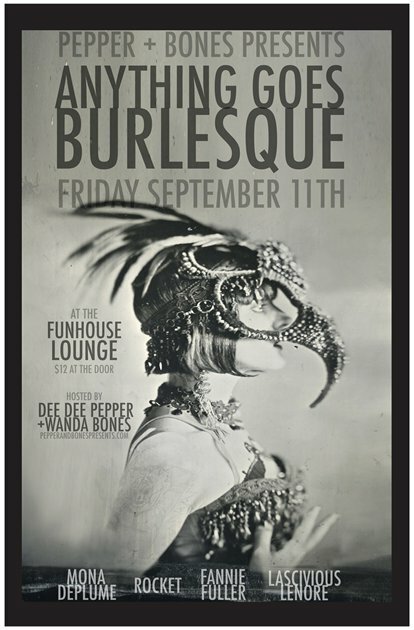 Producers Dee Dee Pepper and Wanda Bones are bringing Pepper + Bones Presents: Anything Goes Burlesque back to the Funhouse Lounge on Friday September 11! Pepper + Bones is back on Friday December 12th!